You might soon be able — if you're so inclined — to join a bonefide church worshiping an artificially intelligent god. Former Google and Uber engineer Anthony Levandowski, according to a recent Backchannel profile, filed paperwork with the state of California in 2015 to establish Way of the Future, a nonprofit religious corporation dedicated to worshiping AI. The church's mission, according to paperwork obtained by Backchannel, is "to develop and promote the realization of a Godhead based on artificial intelligence and through understanding and worship of the Godhead contribute to the betterment of society." The documents show Levandowski is CEO and President of Way of the Future. Presumably there was no option for High Priest. Author and religious studies scholar Candi Cann, who teaches comparative religion at Baylor University, said Levandowski's spiritual initiative isn't necessarily that odd from a historical perspective. "It strikes me that Levandowski's idea reads like a quintessential American religion," Cann told Seeker. "LDS [The Church of Jesus Christ of Latter-day Saints] and Scientology are both distinctly American traditions that focus on very forward thinking religious viewpoints. LDS discusses other planets and extra-terrestrial life. Scientology has an emphasis on therapy and a psychological worldview, which is quite modern and forward thinking." 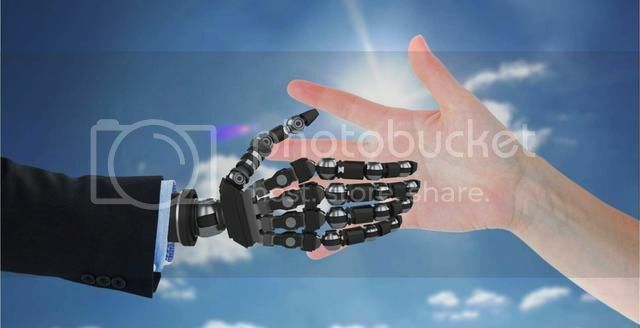 The concept of worshiping artificial intelligence even has a certain resonance with a major world religion, Cann said. "From a comparative religion perspective, I think it feels the most like Hinduism, in which there are avatars of deities found on Earth," she said. "In this way, I think AI can reflect the best of humans back to us, which are, in turn, worshiped." Levandowski is accused of stealing proprietary documents when he was an engineer at Google and taking them to his own self-driving vehicle start-up, which was later acquired by Uber for $680 million. Uber denies knowledge of Levandowski's alleged theft or that Google technology made it into its vehicle technology. Waymo, Google's self-driving vehicle spin-off, filed suit against Levandowski in February. Uber fired him in May, claiming he was not cooperating with the company's legal work. Levendowski's pitch for an AI church comes amid apocalyptic warnings from tech and science luminaries like Elon Musk and Stephen Hawking to the dangers of artificial intelligence. Musk suggested a few years back that he's investing heavily in artificial intelligence largely to keep an eye on AI, which he views as an existential threat to humanity. "With artificial intelligence we are summoning the demon," the founder of Tesla and SpaceX said. "In all those stories where there's the guy with the pentagram and the holy water.... It's like — yeah, he's sure he can control the demon. It didn't work out." A former friend and colleague of Levandowski quoted by Backchannel provides some insights to the would-be church leader's views on robots and artificial intelligence. "He had this very weird motivation about robots taking over the world — like actually taking over, in a military sense," an unidentified engineer and former friend told the publication. "It was like [he wanted] to be able to control the world, and robots were the way to do that." Baylor's Cann noted that it's important to keep in mind that any speculation about Levandowski's motivation for Way of the Future is based on a mission statement from only one document. "For me, this is more like a new paradigm out of which new religious practices could emerge," Cann told Seeker. "It doesn't seem like a religion as much as a religious worldview. Along those lines, secularism is a religious worldview."